Well spring is here which means summer is right around the corner, at least we hope so. Baseball has started , drive in's are opening and plans for summertime parties have begun. Many old time nostalgic candies that are available all year long seem to be associated more with the summer months. We have created a summertime candy list of our most popular old time candies. Charms fluffy stuff cotton candy is our number one selling summertime candy. There is just something about cotton candy and summer that goes hand in hand. You many be surprise to know that this is not just a favorite amongst kids, but adults love cotton candy also. Big league chew bubble gum is another favorite. This is the baseball players gum and is very popular at all the little league games. 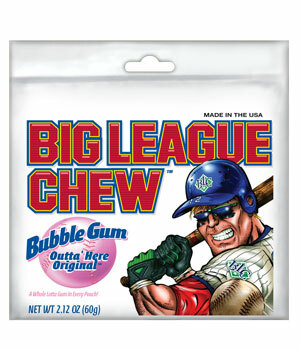 Big league is known for being a shredded bubble gum. It comes in a foil package and available in bubble gum flavor, grape, sour apple and watermelon flavor. A perfect summertime gum. 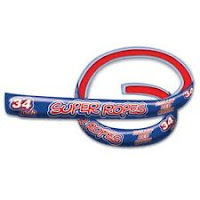 Licorice is another fun summer candy, however super ropes are the most popular. Ger a 34 inch rope of licorice for hours of chewy fun. Did you know that when super ropes first came out they were only available at sporting events ? Now you can get them at any summer time event. 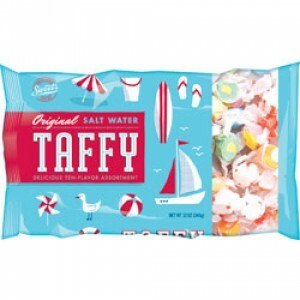 Taffy seems to be a favorite during the summer months, however salt water taffy is the number one seller. 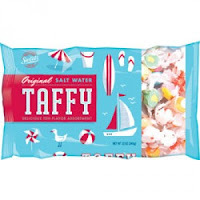 At one time you could only get salt water taffy in the summer, now you can find these taffy at many candy and specialty candy stores year round. I think what make is so popular is the variety of flavors it is available in. Of course we can't forget about cracker jack. Nothing says summertime fun and baseball like cracker jack does. This is very hard to find in the boxes , many places sell it in foil bags , but for some strange reason it tastes so much better in the boxes. Remember the great toys that used to come in Cracker Jack? Sad to say the prizes are not the same, but you can still get the original cracker jack box. There are so many other old time candies that are associated with summer, however this seem to be the most popular. So if you are planning on a summer party and looking for candy ideas these are a must have. Some other favorites are marshmallow candy cones, wax juice bottles, cotton candy suckers or any fruit flavored candy. All of these and many more you can buy at O'Ryans Village your online candy store.